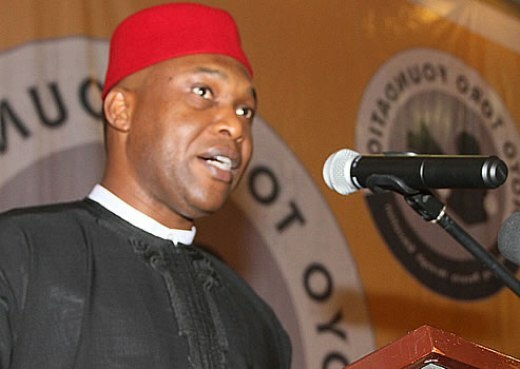 A former minister of aviation, Chief Osita Chidoka, says the Peoples Democratic Party (PDP), should be given the credit for genuine fight against corruption in the Nigerian public sector. Chidoka, who is the spokesman of Atiku/Obi National Presidential Committee for South-East, made claim while speaking with newsmen in Awka on Monday. He said the PDP-led government was responsible for setting up the major anti-corruption institutions as well as midwife major public sector financial reforms which made corruption near impossible. He listed some of the institutions established by PDP as the Economic and Financial Crime Commission (EFCC), the Independent Corrupt Practices Commission (ICPC) and Bureau for Public Procurement (BPP). Chidoka said it would be unfair to label PDP as a party of corrupt politicians. “I don’t think this government has fought corruption, what they have done is that they punish the perceived enemies of government for alleged corruption. “The fight against corruption should not be on credibility or the will of an individual, it should be based on institutions that employ the modern technological innovations that will make money not available to be stolen in the first instance. “The PDP government led the most comprehensive war against corruption because it was under the party that we came up with the idea of setting up agencies that were dedicated to fighting corruption. “These are the EFCC, ICPC and BPP which addressed corruption in the procurement system by ensuring that contractors go through a price control system and ensure that due process is followed. “We did not stop at that, the PDP also transferred all public funds for capital votes back to the Central Bank of Nigeria (CBN) so that people will no longer keep these funds in the bank to yield interest while not funding ongoing projects,” he said. Chidoka said PDP’s introduction of Government Integrated Financial Management Information System (GIFMIS) and Integrated Payroll and Personnel Information System (IPPIS), curbed corruption in the budgetary process and ghost workers syndrome. He said public funds which were abused in Ministries, Department and Agencies (MDAs) was transferred and managed centrally from the CBN. “We also discovered that salary of workers was causing huge leakage because the MDAs which are in charge of payroll, used the money sent to them to pay real and ghost workers and other allowances. “That was why the PDP government introduced the IPPIS, workers salaries were centralised and deposited at the Central Bank and paid directly to them without passing through any MDA. “So, we had mechanisms that addressed the payroll system, over head, capital votes and revenue collection. “On the revenue side, we needed to ensure that all revenues of government are accounted for, that was why the government introduced the Treasury Single Account (TSA). “That was where we were before the All Progressives Congress (APC) government came to power, so they have not done anything new, they have neither built new anti-corruption institutions nor strengthened existing ones,” Chidoka said. The PDP chieftain said the party was confident of winning the presidential election in Anambra and Nigeria at large on Feb. 16. He said the victory was not because of Mr Peter Obi factor but because the ticket represented the best option for the country. He further called on the electorate in the state to come out en mass and vote massively for all PDP candidates. “We are confident that Anambra will come out en mass to vote for the Atiku/Obi ticket not just because their son Mr Peter Obi is in the presidential race. “They will vote because Atiku Abubakar represents another opportunity for Nigerians to review the situation in the country and mainstream every part of Nigeria into national politics. “The current government has denied us the opportunity to express ourselves, opportunity to engage in our businesses, poverty is endemic, we believe that Atiku offers us a new opportunity for real market-driven economy,” he said.